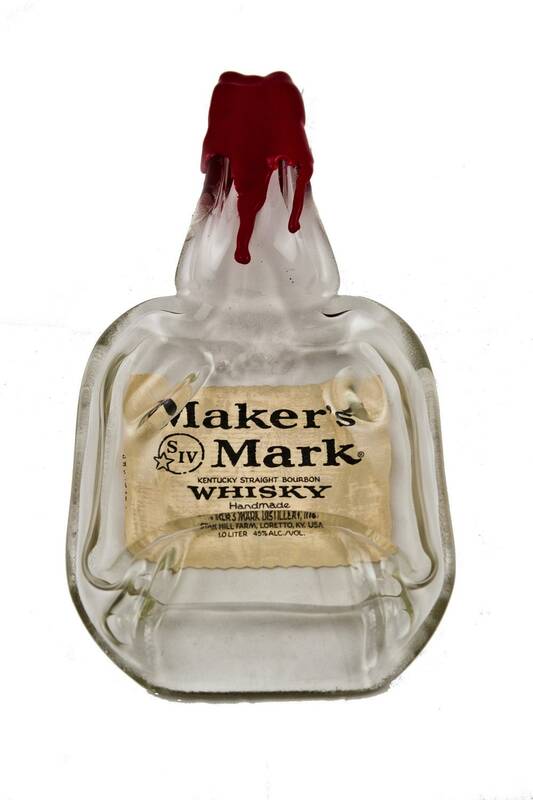 This Recycled Makers Mark Bottle has been melted into a dish with the original label re-attached underneath so you can use it. 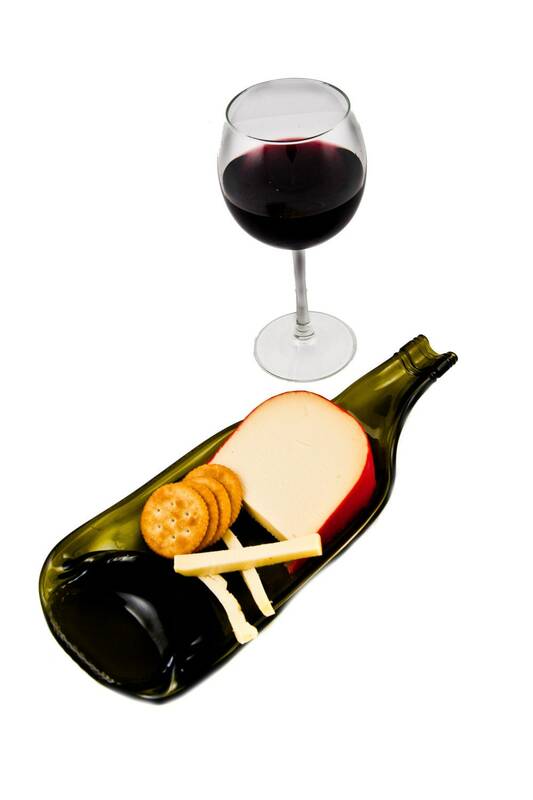 Serve cheese or crackers at your next party. 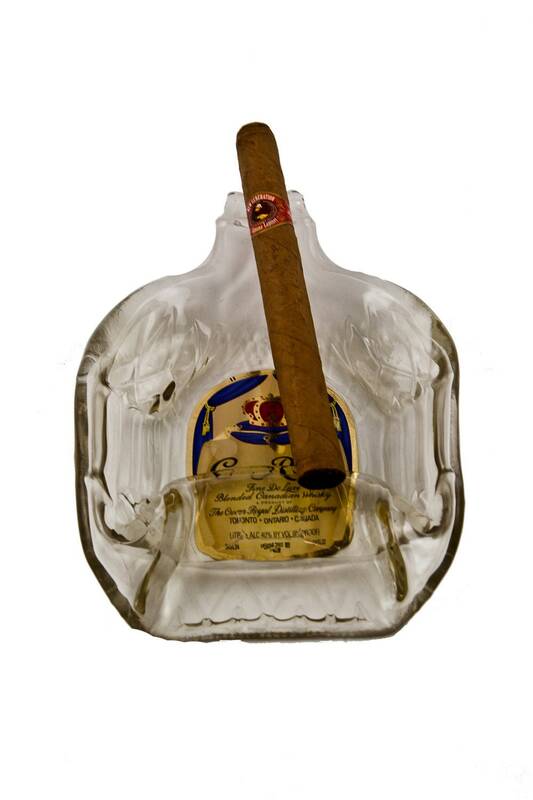 Men usually use these as cigar ash trays or a coin dishes. 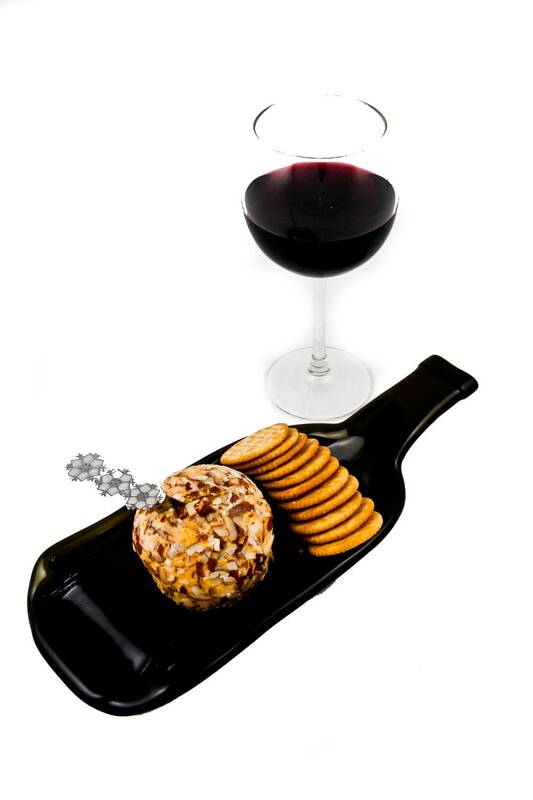 Need a great gift, this is it. Red wax may look a little different, each one is unique. Other photos show some uses for a unique dish like this. 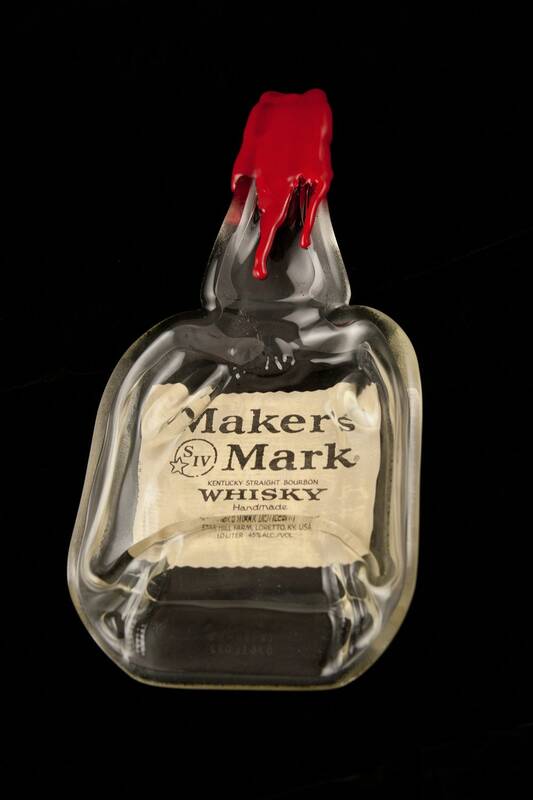 If you need a different spirit, please contact us, we melt them all!